I’m a born and raised small-town Maine girl. Growing up I tried a lot of different sports from field hockey to basketball to softball. I never excelled at any of the team sports. I was always a mediocre athlete; however, the one sport I excelled at was horseback riding. 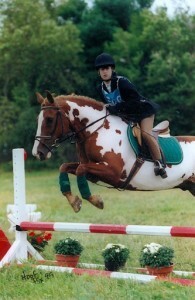 I rode horses competitively throughout New England for over 10 years. Over the course of 10 years I rode my three horses in local 4-H shows to regional show jumping competitions. Unfortunately, when my time came to leave the state for college I had to make the decision to sell my horses. In college I majored in Biochemistry with the intentions of going on to medical school. My summers were spent conducting research at some of the country’s top research institutes. During this time I put my studies in front of my fitness and soon started gaining the freshmen 15 after battling with disordered eating for most of my teenage years. I graduated college early and was left unsure of my path in life. In January 2009 I was packing up my things to head west to Montana when my mother was diagnosed with a very rare and terminal disease, which led to a major life change. I struggled for a good portion of the year to figure out what I really wanted to do with my life. It wasn’t until I purchased my first road bike that summer on a whim that I started down the path that I have taken. I hadn’t ridden a bike for years, but after experiencing the freedom that a bike gives you I knew I had found a new passion in life. As a competitive, Type A person I needed a goal with my cycling and I soon discovered the world of triathlons. In 2010 I successfully finished my first series of triathlons. Again, I was a mediocre mid-pack athlete and I was okay with that. I just loved the sport. In 2011 I had my breakout season. I started to move from a mid-pack athlete in my age group to a podium finisher. I won my age group at my first Half-Ironman, which still remains as my favorite moment in the sport. That fall I knew that I had found my sport and my passion. In 2012 I decided to make the dedication and investment in the sport. 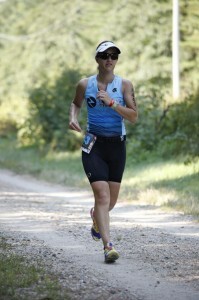 I purchased a tri bike and hired a coach with the vision of finishing my first Ironman in 2013. Working with a coach was the best decision I made. Not only did she coach me to a very successful season, but she also inspired me to become a coach myself and help athletes reach their athletic goals. 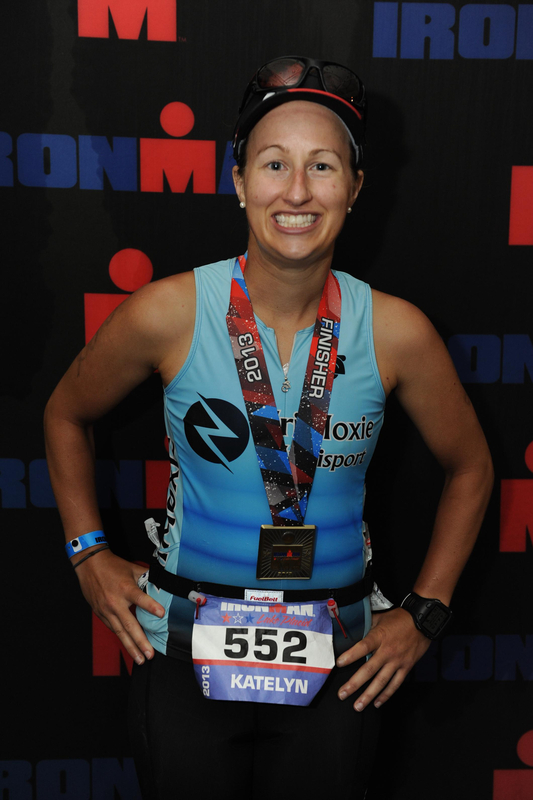 In 2013 I embarked on my goal to become an Ironman at Ironman Lake Placid. I had a stressful start to the season with lots of colds and then a major setback of a knee/IT-band injury that left my run training to a minimal. However, I still determined to become an Ironman. With some patience and excellent care of my support crew, I crossed the finish line at IMLP in 14:13. Finishing my first Ironman taught me some important life lessons in patience and hard work. I will never forget the experience and I look forward to my next Ironman in a couple of years. Outside of the multisport world, I work part-time as a personal trainer and coach. Health and fitness is a huge part of my life now and I continually strive to become the best person I can and inspire others to reach their health and fitness goals. My full-time job is in the public health sector. In a few years I plan to go back to school to earn my PhD in global public health. But, in the meantime I am enjoying this ride that we call life. 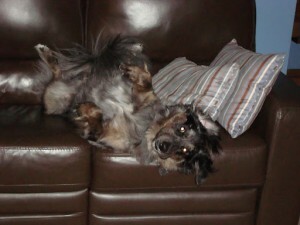 I still live in the Southern Maine area with my lovely and crazy Australian Shepard mutt, Reagan. I rescued her from a kill shelter down South and she keeps my life interesting to say the least. I am a voracious reader, especially in the genre of endurance sports, strength and conditioning, and science. I also enjoy experimenting in the kitchen. Sometimes it is successful, other times not so much.